‘Avengers: Endgame’ is the latest Marvel Cinematic Universe release. 2018’s ‘Avengers: Infinity War’ holds the record for the all time opening weekend box office revenue. ‘Avengers: Endgame’ will open in theaters on April 26, 2019. A few weeks ago, we posted odds on the top box office film of 2019 as well as the film to have the biggest opening weekend. The same film was the favorite on both lists: Avengers: Endgame. The denouement to the previous 22 Marvel Cinematic Universe films, Avengers: Endgame is going to be a huge film in every sense of the word. As the final chapter of a 23 part opus it’s going to be monumentally significant within the Marvel Cinematic Universe canon. It will also be a l-o-n-g movie as in Lord of the Rings: Fellowship of the Rings long. If you don’t recall Peter Jackson’s 2001 classic it weighed in at a hefty 3 hours and 48 minutes. OK, that was a bit hyperbolic but it has been confirmed that Avengers: Endgame will clock in at 3 hours and 58 seconds. Don’t worry, true believers…..the expectation is that future Marvel films will go back down to a more reasonable two hours or less running time. It’s also going to be insanely huge financially. Not that this is a surprise–the previous Avengers film entitled Avengers: Infinity War was released in 2018 and set the all time record for the opening weekend at the box office both domestically and worldwide. Curiously, it was only #2 in foreign markets behind the $443,150,534 pulled in by the 2017 installment in the ‘Fast and the Furious’ franchise called The Fate of the Furious. Making the foreign success of the film even more bizarre it did a good but not great $98 million opening weekend domestically suggesting that American filmgoers might have a lower Vin Diesel saturation point than their counterparts in other countries. ‘AVENGERS: ENDGAME’ ALL TIME BOX OFFICE REVENUE (DOMESTIC) AS OF 9/1/19? ‘AVENGERS: ENDGAME’ ALL TIME BOX OFFICE REVENUE (INTERNATIONAL) AS OF 9/1/19? ‘AVENGERS: ENDGAME’ ALL TIME BOX OFFICE REVENUE (WORLDWIDE) AS OF 9/1/19? 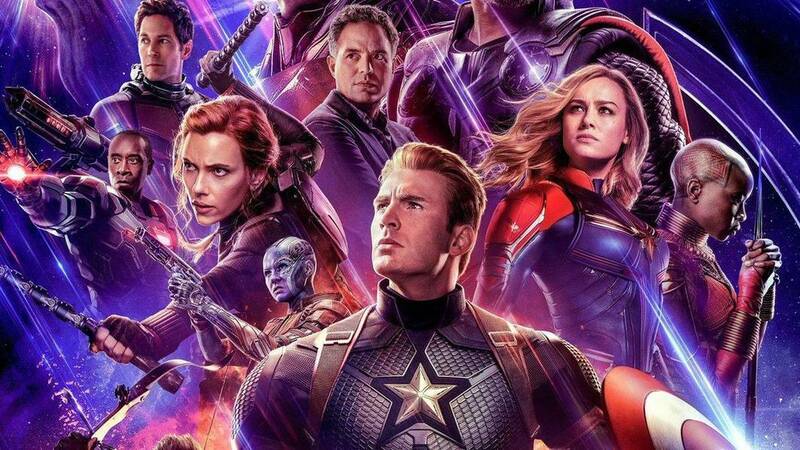 ‘AVENGERS: ENDGAME’ OPENING WEEKEND PER THEATER AVERAGE (DOMESTIC)? All box office revenue propositions will be graded using data from Box Office Mojo. ‘AVENGERS: ENDGAME’ FIRST CHARACTER TO DIE? If none of the above listed characters die in ‘Avenger: Endgame’ all wagers will be graded ‘no action’. WILL ANT-MAN SURVIVE UNTIL THE END OF ‘AVENGERS: ENDGAME’? WILL BLACK PANTHER SURVIVE UNTIL THE END OF ‘AVENGERS: ENDGAME’? WILL BLACK WIDOW SURVIVE UNTIL THE END OF ‘AVENGERS: ENDGAME’? WILL CAPTAIN AMERICA SURVIVE UNTIL THE END OF ‘AVENGERS: ENDGAME’? WILL CAPTAIN MARVEL SURVIVE UNTIL THE END OF ‘AVENGERS: ENDGAME’? WILL DOCTOR STRANGE SURVIVE UNTIL THE END OF ‘AVENGERS: ENDGAME’? WILL HAWKEYE SURVIVE UNTIL THE END OF ‘AVENGERS: ENDGAME’? WILL HULK SURVIVE UNTIL THE END OF ‘AVENGERS: ENDGAME’? WILL IRON MAN SURVIVE UNTIL THE END OF ‘AVENGERS: ENDGAME’? WILL ROCKET SURVIVE UNTIL THE END OF ‘AVENGERS: ENDGAME’? WILL SPIDER MAN SURVIVE UNTIL THE END OF ‘AVENGERS: ENDGAME’? WILL STAR-LORD SURVIVE UNTIL THE END OF ‘AVENGERS: ENDGAME’? WILL THANOS SURVIVE UNTIL THE END OF ‘AVENGERS: ENDGAME’? WILL THOR SURVIVE UNTIL THE END OF ‘AVENGERS: ENDGAME’?